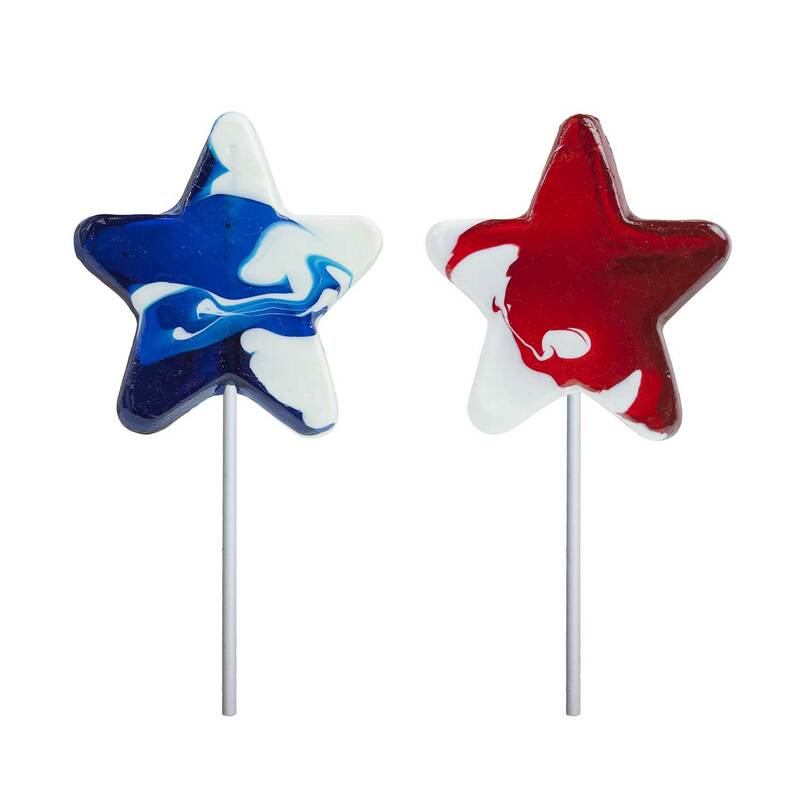 Our Patriotic Swirl Star Lollipops come with 24 large star hard candy lollipops in on your choice of stick in a counter display. 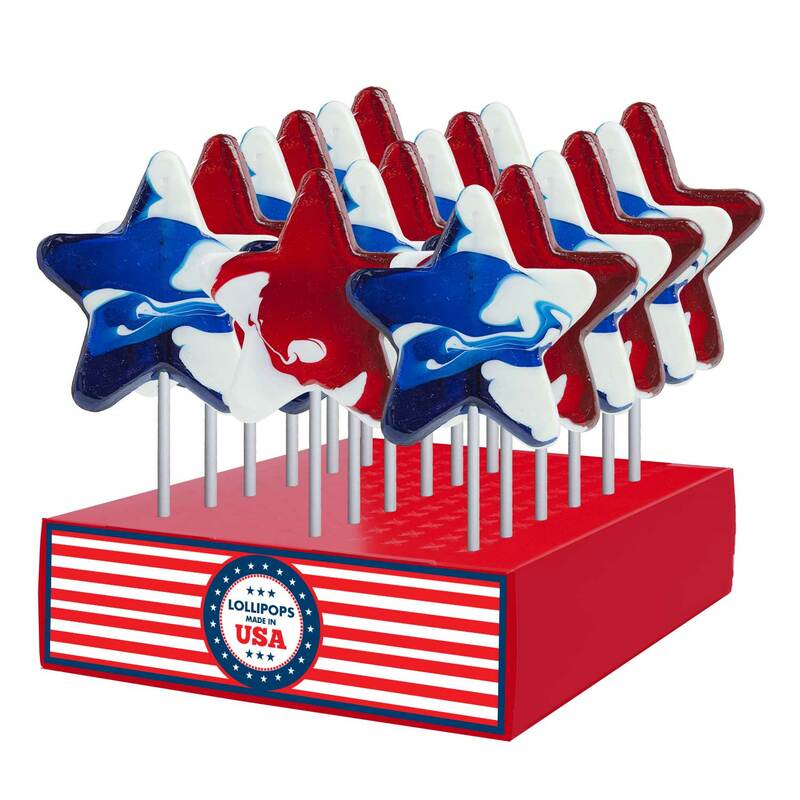 Available in red & white (cherry vanilla), blue & white (raspberry vanilla) or an assortment of both colors. Each lollipop is hand-poured; slight variations will occur.